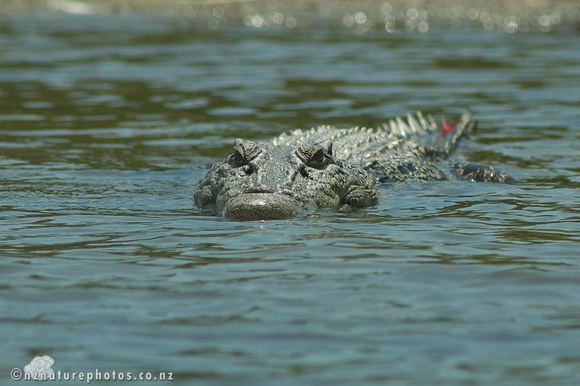 One of the advantages to being in a small boat to photograph crocodiles, is the ability to compose shots of the animal swimming towards you. This is also where having a competent lookout is handy too. Clicking the image will bring up a slightly larger version.